Joking aside, I think the view up Fan y Big must be about the best in the Brecon Beacons, looking back across the cwm to Cribyn, with Pen y Fan, the highest mountain in South Wales, behind it. It was lunchtime, and it had taken me a little over three hours to walk up there from the National Trust car park near Brecon, following a 4am start and four hour drive from London. 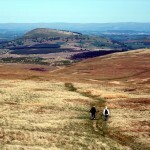 One of the great things about walking in the UK is that a range of different walking areas are easily accessible by car, and although people complain about the weather here, if I keep my options open about where to go and pick my weekend, some great days in the hills are to be had with plenty of clear views. 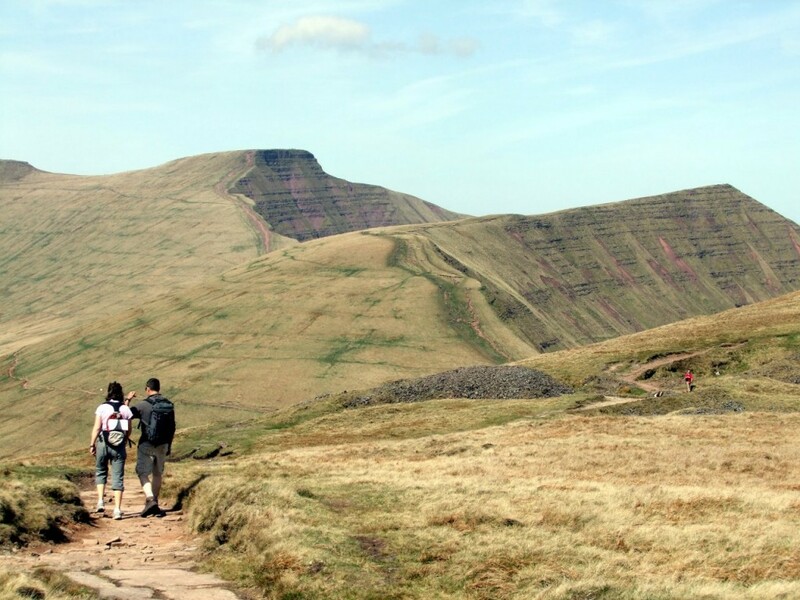 This time I had a good choice, for the weather was beautiful across the country, and I decided to head for the Brecon Beacons, a compact range of high (by British standards) red sandstone hills in South Wales, the closest decent mountain range to London. Pen y Fan, Cribyn, and the amusingly named Fan y Big (which translates from Welsh as Peak of the Beak) stand in a line of long ridges at the northern side of Brecon Beacons National Park. Their southern flanks slope gently downwards across sweeping grassy uplands, while on the northern side each of them drops away in striking fashion in a series of near-vertical though still grassy cliffs. 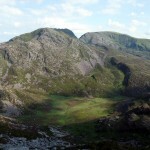 I climbed them from the south in 2002 in drab cloudy hill walking conditions of dark skies and damp mist. I had to use a compass to navigate from the summit of Corn Du to Pen y Fan, just a couple of hundred metres away, and I heard a father telling his young son perched on his shoulders that they were already there, unaware that the hill he was standing on was only an outlier. This southern route is the more popular one, from the Neuadd Reservoir in the heart of the Brecon Beacons, surrounded by high hills. 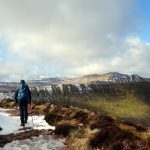 This time I climbed them from the northern side, staring up at the cliffs as I approached along the extended horizontal ridge beneath Pen y Fan, seeing nobody but a single solitary fell runner. A steep rocky section led onto the summit, where I met around a hundred army cadets who had come up for a day out from Essex. From the summit I followed the escarpment across Cribyn and Fan y Big to Cwareli, where I descended back to the lowlands. Lots of walkers were out in shorts and tee-shirts, but although it was gloriously sunny it was also quite cold in the gusty wind up there. Not one to worry too much about a sun tan, I chose to keep on my windproof jacket, although one girl in shorts and sleeveless top did laugh at me for wearing gloves. 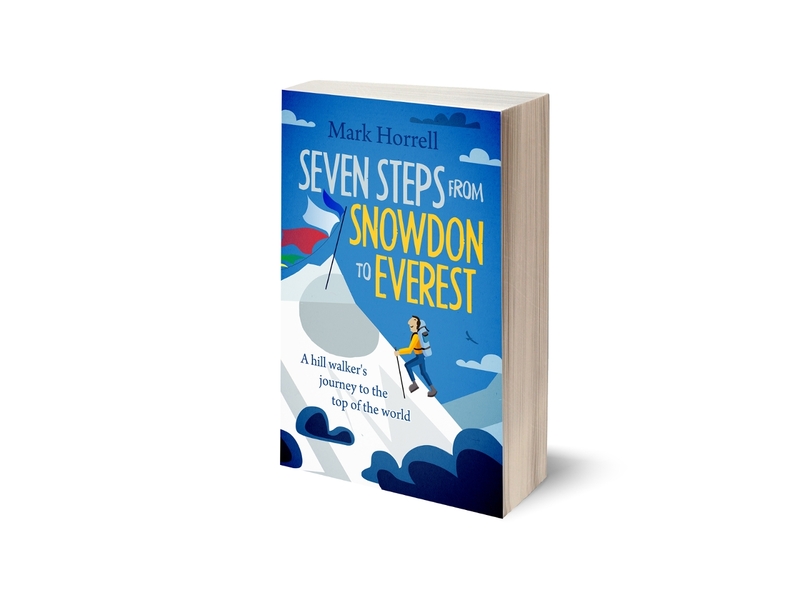 By 2.30 I was down from the summits and fell asleep on a mossy bank in the warm sun for half an hour high above the town of Brecon and surrounding countryside, with Pen y Fan and Cribyn rising up in silhouette on the horizon ahead of me. By then I was in a sheltered spot away from the high winds. Yellow flowers of gorse bush sparkled in the banks around me, and it felt like the start of summer. But it’s only April, and there is colder, wetter weather ahead of us yet. Still, it’s great to be able to escape like this away from the bustle of London at weekends. It’s something I’ll never tire of doing. I was woken up by my phone making a funny noise as someone responded to a photo I’d posted on Facebook just after I’d slumped down on the bank. It was an odd collision of worlds – these things never used to happen on my days in the hills. It was time to descend to the car and find a nice campsite with a pub nearby. You can see all my photos from the walk in p.2 of my 2011 Flickr album. Sounds like you got a rare, fine day up there. Great photos and a great story. 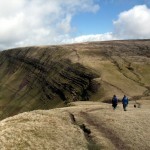 I’ve only done the one walk in the Brecon Beacons – it was 5 years ago now and it was the Pen y Fan via Neuadd Reservoir. We hit low cloud early into the climb but I’ll never forget standing arriving on the summit of Pen y Fan as the cloud suddenly blew away to reveal a great prospect of the Brecon valley. Cribyn was my personal favourite on the walk. Heehee, and then of course there’s Brown Willy in Cornwall.